Simply put, a charger for a car battery is another battery or recharging unit. It comes to your rescue when your automobile battery betrays on the go. To avoid that inconvenience, car owners install an additional portable car battery charger to get going without an uncalled for halt. But in a technology-driven world, a car battery booster doesn't come merely with the recharging power. It is too basic now a day to keep contended only with that. So you must know what the most updated features and extraordinary benefits are available from the best portable car battery charger. There is another sophisticated version of battery recharger fondly tagged to be a jump starter. That can jump-start your car the minutes its battery is drained to the death. The more informed you are the more benefited you will be. A well-researched review guide can greatly help you find the match you are after. From myriads of quality product selections, we have narrowed down to five products which are the best judging by the parameters of popularity, power, safety, size, and intelligent features. How to Choose The Best Portable Auto Battery Charger? 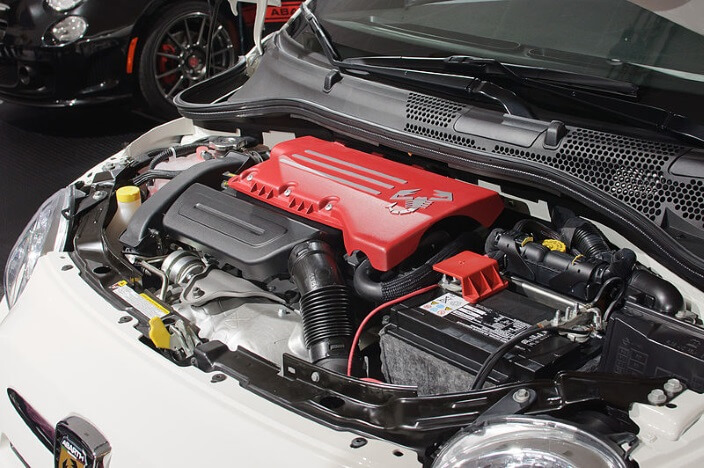 What is the difference between a battery charger and a jump-starter? What is the reverse polarity prevention? How ultra-light can a car battery charger be? Make one of the following potable car battery boosters or jump-starter a party to your on wheel travel or toting around and feel the peace of mind. Stanley J5C09 is a versatile recharging module that combines max output power able to jump-start vehicles of any size and type. It provides you with a flashlight to make things easier when the hassle takes place in the dark at night and an air compressor to fill flat tires in an emergency. It is engineered to function in fowl and cold weathers because car batteries betray very often in adverse weather. J5C09 will not only kick start your stranded car with a jerk rather you can have your electronics recharged with the power bank it comes with. It is a jump-starter and a battery charger as well. You can regulate automobile batteries with the trickle charger facility features by this Stanley version. Most of the upgrade versions of the jump-starter and battery charger are featured with the reverse polarity signal. This intelligent and sensitive feature enables the unit to warn you if the connecting clamps are set wrong. The 3.5 feet long cable is a two-way sword. It is long enough to reach the joining points easily and is not so long to create a coiling hassle. On top of that, the built-in storage stow the cable conveniently. 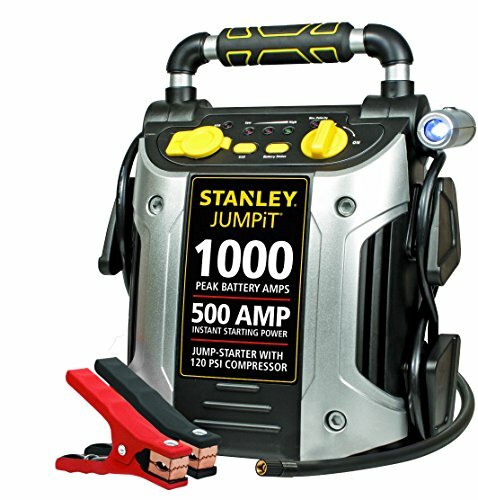 Stanley J5C09 is a portable jump-starter but not too light to be rated in line with the ultra-portable units. Conversely, this is not a space capturer too as you can install it inside the car trunk without losing large space. If you want to travel better, safer, and smarter go for this all-rounder jump-starter. Let's follow a versatile jump-starter with an all-rounder battery charger. In terms of versatility, NOCO Genius G3500 must be rated to be the topper among the road vehicle charging unit. It comes with the power of charging and regulating both 12 -6 voltage lead/acid batteries and lithium-ion batteries of 12-voltage. Along with these features, NOCO Genius features the most compact and sleek design capturing scanty trunk space for installation. So it is doubtlessly the best portable car battery charger. Batteries left unused for long get sulfated and sulfated batteries lose the capacity to receive the charge. 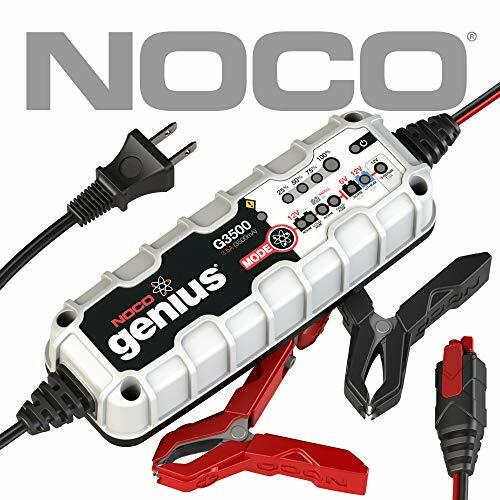 NOCO G3500 offers the most lovable feature that can restore life to the dead batteries. This feature is an active restoration process to de-sulfate the old, stranded, and unused battery. Thus a battery rejuvenated by NOCO G3500 can hold charge at as low as 2 voltages. Whereas a charger of regular capacity can't give a second life to batteries that have reached down to 3 voltages. It stands out for the safety measure – G3500. 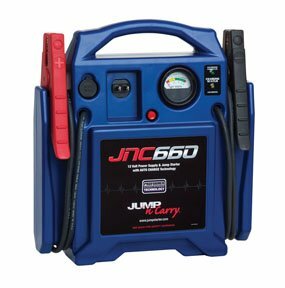 Jump-starter is used when and where the car needs to be run as soon as possible. But car batteries lie uncared and unattended for several hours. So reverse polarity warning is much needed for battery charger than a jump-starter. NOCO G3500 presents an overcharging protection that means NOCO will charge the battery so long it is not fully charged. It stops at full charge. Thus how it saves the battery from being over-heated and the car owner from unwarranted circumstance. Only one button to manipulate all modes. Here is the incredibly popular battery booster- primarily for the ability of jump-starting and portability. It comes with a grabbing handle further strengthening the issue of mobility. And this is the only one to have a carrying handle among its kind. Tremendous popularity is earned by the eye-catching cover design. The heavy-duty jacket is made to bear with the rugged and professional wear and tear. It features a light in front side to signify that charging is on and this built-in auto display will notify you when the battery is charged fully. The voltammeter clock face allows you to check the current status of the battery unit. A switch is set to press and get the status report. What makes it a towering figure among the crowd is its output amounting to 12-volts backed by default circuit deterrence. So on top of kick-starting your vehicle, it can charge your laptop, Smartphone, iPad, and other accessories. It is meticulously built with the dedicated feature like 1700 max amps which is among the highest among the list. The Jump-N-Carry exclusive PROFORMER replaceable battery equips the jump-starter with a dedicated engineering. This is mainly responsible to function jump-starting without fail. Every time you try to start a car instantly it is there to empower the cars – bus, truck, and any road vehicle. This is something more than versatile with above-the-average design and professional interface along with the unfailing reliability of starting numerous automobiles within minutes. Voltameter dial to check battery status. Antigravity Batteries is the manufacturer of battery-only products that is very evident from the brand name. A fabulous range of battery-related products is made and supplied worldwide by this big brand. Our battery under review is a jump-starter and it is rated among the most popular in the lineup. This is a heavy-duty jump-starter in terms of both quality and price. And we all know power and quality come in exchange of price. It is the most powerful battery booster who enjoys the power to make run automobiles carrying diesel engines. Needless to say that small car, motorcycle, Lorries, and power vehicles are toys for it to jump-start with the max 600 amps of power. It has come with a power bank of 18000 mAh to charge transportable electronics through the dual USB charging ports. This is a complete charging package starting from tiny electronics to giant vehicles. Antigravity Micro-start offers some over-the-board features. The powered LED Flashlight is the one to start with what enables you to send S.O.S signals in an emergency situation. It is featured with a flashing urgent beacon and two flash systems. The second and the most sought-after mechanical facility is the reverse polarity prevention pattern backed by a detachable jumper cable – SMART MINI. The inclusive safety measure provides you with an over-charging and over-draining prevention facility. Thus the dedicated security process fairly claims the high price by relieving the car battery of being overheated and sparking. We will end this battery charger review guide with Schumacher 1500A. It is a transportable battery charger affordable at a budget price. This price tag has made it stand out glaring among this group of exclusive and expensive battery chargers and jump-starters. The upgrade features and basic benefits it offers are a steal or gift against the price. This is a microprocessor monitored automobile and marine battery charger. The data collected by the microprocessor allows the charger to gauge the charging requirements more accurately when a battery is connected. This monitoring favors the charger with a rapid charge time and reduces the risk of damage due to overcharging, overheating, and sparking. This unit is 12V and 15 amp charger that can regulate with 3 amps, needs 8 amps for mid-level charging, and fast charging is accomplished with 15 amps. This charger also enjoys the reverse polarity prevention and keeps the car battery dysfunctional and safe while the clamps are connected wrong. The feature earns it the tag of an efficient charger. Schumacher goes pretty versatile with batteries categorized with lead-acid – commonly used in power-tillers, motorbikes, stand-up PWcs and those found in multiple automobiles and boats. This unit is the result of an excellent combination of the fundamental battery charging expertise and the artistic circuitry. That is what renders the charger the flexibility and facility rare in battery charger scenes. Easy-to-use and maneuver digital readout. Unable to handle heavy-weight vehicle charger. You have already been aware of the fact that a battery booster or jump-starter is not only a recharging unit to energize your car battery. It is much more than that as an upgrade version of any car charger provides you with both the fundamental benefit and exclusive features. So whenever you are opting for the purchase of a car battery charger, you should very neatly know whether it can recharge batteries of any size and specification. How many charging ports it has come with? How powerful is the power bank to charge portable electronics? Is it featured with the reverse hook-up protection or is it spark-proof or not? Now a day all the portable car battery booster or jump-starters, from basic and high-end one, offer the aforesaid features. The one claiming higher price must come with high-end features like LED flashlight, detachable jumper cable, and tips, max amps of power and max mAh power bank, compatibility with both lead-acid and lithium-ion battery types. The five recommendations made in this review guide are all high-end products claiming a moderate price. 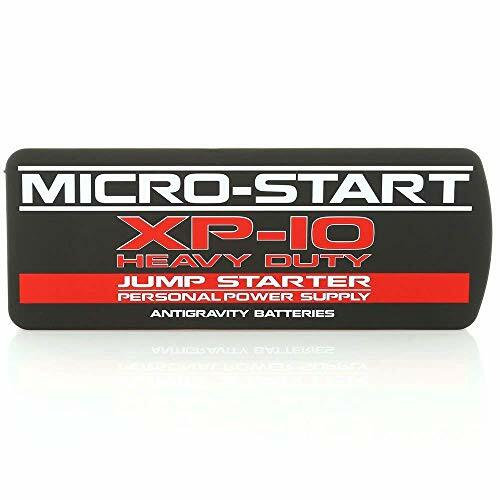 The Antigravity Batteries Micro-start is a bit pricier than its companions but compensates fully with the exclusive features and additional accessories like- slim and protective leather portable case, A/C adapter, and 12 V power port adapters, micro USB, mini USB, and Apple pins. 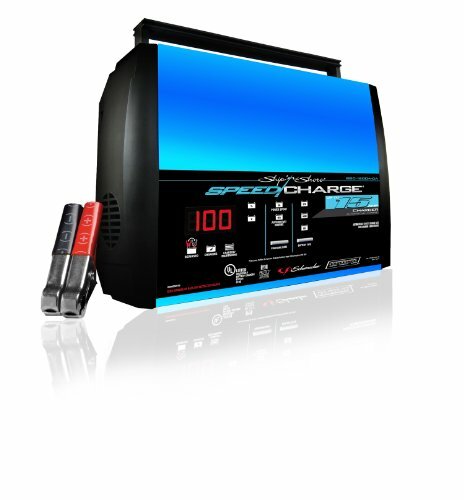 Schumacher SSC-1500A charger is a high-end charger with a cheap price. It is minimalist in feature-richness but this is no way a deal breaker. A car battery charger is an alternative charging source that can recharge your dead or old battery in a given time. On the contrary, a jump-starter will kick-start your car within minutes of the halt caused by the car battery failure. Both the units are alternative batteries while a charger takes time to recharge the main battery of the car by getting connected to a power outlet and then start the car. A jump-starter will solve the problem instantly as it is a battery with relatively higher power amps to boost the car engine immediately. When the connecting clamps are attached wrong or reversely to any battery, there lies the risk of partial or full damage. But the reverse polarity protection feature of a latest battery charger or jump-starter keeps the battery dysfunctional when clamps are set mistakenly reverse. Till date, the most ultra-light battery charger weighs as low as 2 lbs. No stone is left unturned to make you clear about anything and everything involving a portable car battery charger. So the concluding section of this article is just structural. An additional charge booster for your automobile is not a gadget only. It is the tool to let you rest assured that with that installed in your car trunk you are safe on the move and will reach your destination on time. A jump-starter will act handier in this regard.